If You Like “New Army Officer’s Survival Guide,” You’ll Love These! Starting today, we’re in training. New Army Officer’s Survival Guide comes out February 12! It’s only 4 short weeks, but we can’t wait. These three military titles are our lifeline until then. 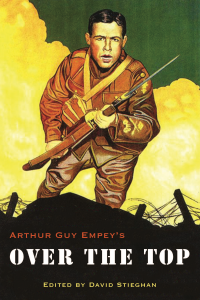 Arthur Guy Empey served as an American in the British Army in the early days of World War I. After fighting in the trenches, Empey began writing short stories of his overseas military experience. Wounded in the line of duty and discharged soon after, Empey returned to America and compiled his stories into one volume entitled Over the Top. Published in 1917 only weeks after the United States declared war on Germany and the Central Powers, Over the Top quickly became a bestseller, bringing fame and notoriety to the previously unknown author. An estimated one million copies were printed from May 1917 through November 1918. To date, Empey’s American point of view of fighting as a British soldier makes Over the Top the most readable and engaging introduction to the experience of trench fighting in print. In the early morning hours of January 12, 1991, telephones rang in the rooms of a dozen or so newspaper and wire service reporters at the Dhahran International, the Meridian, and other hotels in Eastern Saudi Arabia. War with the regime of Saddam Hussein over the oil province of Kuwait had become inevitable. 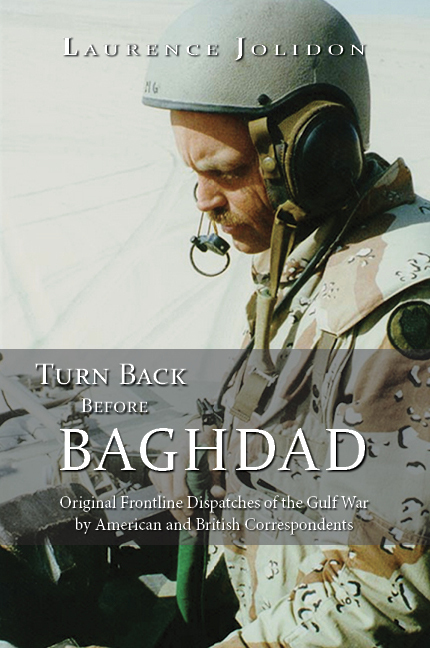 The calls, telling the reporters to grab their gear and meet military public affairs officers in hotel lobbies, triggered the first media pools dispatched to cover Operation Desert Storm. Jolidon’s work captures an important moment that will be studied by historians who examine the role of the media in wartime, and relations between the military and civilian reporters. Whatever history’s final judgment on the utility of the pool system, it is undeniable that the relationship between the Pentagon and the press has not been the same since. Colin Gray presents an inventive treatise on the nature of strategy, war, and peace, organized around forty maxims. This collection of mini essays will forearm politicians, soldiers, and the attentive general public against many—probably most— fallacies that abound in contemporary debates about war, peace, and security. While one can never guarantee strategic success, a strategic education led by the judgments in these maxims increases the chances that one’s errors will be small rather than catastrophic. The maxims are grouped according to five clusters. “War and Peace” tackles the larger issues of strategic history that drive the demand for the services of strategic thought and practice. “Strategy” presses further, into the realm of strategic behavior, and serves as a bridge between the political focus of part one and the military concerns that follow. “Military Power and Warfare” turns to the pragmatic business of military performance: operations, tactics, and logistics. Part four, “Security and Insecurity,” examines why strategy is important, including a discussion of the nature, dynamic character, and functioning of world politics. Finally, “History and the Future” is meant to help strategists better understand the processes of historical change. Posted on January 10, 2018 January 10, 2018 Author Jillian MurphyCategories Entertainment Blogs, Press NewsTags #Army, #bookrecs, #Commission, #NAOSG, #nonfiction, #Officer, Arthur Guy Empey, book recommendation, Colin Gray, Fighting Talk, Forty Maxims on War Peace and Strategy, Laurence Jolidon, military, military books, Over the Top, Turn Back Before BaghdadLeave a comment on If You Like “New Army Officer’s Survival Guide,” You’ll Love These!